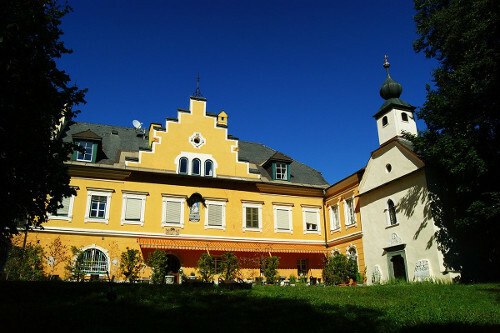 The history of Palais Porcia is inseparably linked to the history of Klagenfurt. Until the 24th of April 1518 Klagenfurt was imperial and was donated by the Emperor Maximilian I to the Kärntner Landstand. From this time Klagenfurt was the capital of Carinthia. It evolved from a small settlement with about 70 houses and about 700 residents was - after the first city expansion by the estates – to a sizable city with more than 70 000 inhabitants. During the construction of the city, the Palais Porcia was built as well. Not only the family Porcia lived in the palais but also the Rauschern, Garzarolli or Wittgenstein. It was a mansion, which later became an apartment building with law firms, apartments, and shops. Even before the First World War you could see a life-size stone sculpture of Charles the 5th with the year 1566 in the imposing staircase. In addition, the saying: Der ist ein wahrer Mann und gut von Götterblut, der, wenn er schaden kann, sein‘ Feinden Gutes tut. This saying can still be found today on the outer facade of the house. It has also been historically proven that from June 1706 to May 1712 the counts of Wittelsbach lived in the Palais Porcia. These were the 4 older sons of the Elector of Bavaria. Towards the end of the 18th century the Café Dorrer was housed on the ground floor, which was one of the largest coffee houses in the city. The "Dorrer House" - as it was called - was one of the social centers of the city. However, after the Second World War, the coffee house went downhill rapidly. In 1968, the building was owned by a butcher called Rome. According to newspaper reports, the house was described as prone to collapse and the authority stipulated that it must be cleared by 31 December 1968. During this phase, the couple Dr. Kurt and Inge Unzeitig bought the mansion. According to the Federal Monuments Office, the facade, which stood under monument protection, had to be removed by experts. In 1969, the 200-year-old Baroque facade was removed by the sculptor Arnulf Pichler and restored on behalf of the couple. The entire complex of buildings was rebuilt and the old facade was restored under great media interest. This was celebrated as a connection of tradition and modernity. In one part of the former palace, the department store Quelle was housed, the first department store of the state capital Klagenfurt. 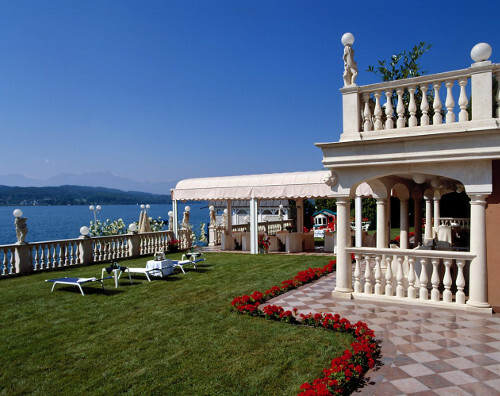 On the 3rd and 4th floor of the building, the couple Unzeitig built the Hotel Palais Porcia. In the first few years, the family ran the hotel themselves, then leased it to the sugar baker family Musil. 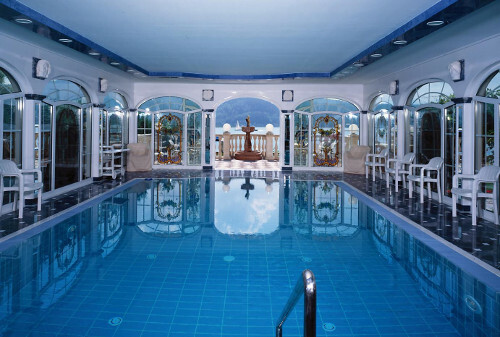 In the 80s of the last century, the hotel was completely renovated and redesigned by the family. Due to the great passion for collecting art, the Hotel Palais Porcia was designed in a way that would rightfully capture and exhibit this vehemence perfectly. In the hotel are original paintings for example by Friedrich von Amerling, Carl von Blaas, Hans Makart or Lampi. The Persian rugs in the house were owned by the family of the Shah of Persia. The silk wallpapers used in the suites and business rooms were specially made. One of the landmarks of the Palais today is the “masked bar”. “Masked bar”, because around 40 masks are integrated into the individual fields, lines and bands in this outstanding work of woodcarving. The three figures Bacchus, Venus and a woman with a basket full of grapes complete the overall picture of this work of art. The relief from Charles the 5th also found its way back to its old home. In the years that followed, we were always careful to combine the historic ambience with the latest technical standards. 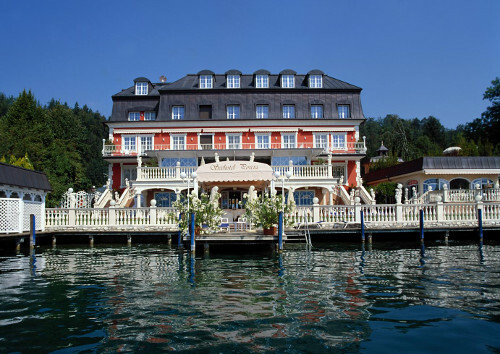 The family-run Hotel Palais Porcia now houses 35 rooms and suites. What began centuries ago as the seat of the estates has found its continuation behind a new facade and a new roof with a large number of regular as well as prominent guests.